Romanov Yuri Anatolievich (1934-2010), famous scientist in the fields of semiconductor physics and physics of plasma, author of over 130 publications, a major contributor in the development of research into the physics of semiconductor superlattices. Yu.A. Romanov graduated from the Gorky state university (Chair for theoretical physics) in 1957. After graduation he worked as an assistant and then senior teacher with the Chair for theoretical physics of the university. From 1963 through 1991 he was affiliated with the Gorky research physical-technical institute, working successively as a research engineer, senior scientist (1968), head of laboratory (1970), vice-director for science, director of the institute (1984-1990). 1991 to 1993: leading scientist with the IAP RAS, 1993 to 2010: leading scientist with the IPM RAS, within the same period (1994 through 1998) he held the position of head of laboratory at the IPM RAS. In 1966 he defended the PhD thesis,"On the theory of plasma confinement', in 1980 — the doctoral thesis on «Electromagnetic properties of layered plasma systems and semiconductor superlattices'. In 1984 Yu. 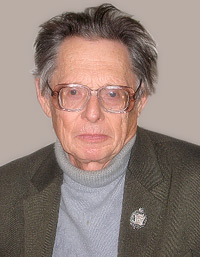 A. Romanov was awarded the title of Professor, in 1999 — the title of Honored Scientist of the Russian Federation. Yu. A. Romanov was deputy-chair of «Solid-state microwave electronics' section of the RAS Scientific Council for Physical electronics, from 1989 to 1992 he served on the Board of Physical Society of the USSR, was member of the Scientific Council and the Dissertation Council with IAP RAS. In 1994, 1997 and 2000 — winner of the State Scholarship for Outstanding Scientists of Russia. Yu. A. Romanov is well known in our country and abroad for a number of fundamental achievements. At the same time with L. Esaki in 1970 he proposed the now-realized model of semiconductor superlattices on the basis of a crystal with a periodically varying chemical composition and predicted a number of effects in them: dynamic and absolute negative conductance, induced and self-induced transparency, inverse Bloch oscillations (experimentally discovered in 1995); semiconductor-semimetal phase transition (in doped superlattices), parametric generation of harmonics. He also predicted new types of plasma waves. In the area of radiation sources development Yu. A. Romanov proposed and researched into new mechanisms of population inversion and high-frequency mechanisms of the negative differential conductivity of S-type in quantum wells, induced by tunneling and transit effects. He headed the pioneering research that led to creation of first multilayer Ge/GeSi heterostructures with quantum wells and superlattices, and periodically doped silicon structures. Multilayer silicon structures were used as the basis for submilimeter (0.8-3mm) radiation generators that were developed into an industrial product, and high efficiency frequency multipliers. His contribution in the plasma physics research includes development of a kinetic theory of surface waves and prediction of their attenuation features versus Landau damping; the theory for Coulomb interaction of electrons in layered media; the kinetic theory of electron energy loss in thin films, taking into account excitation of both bulk and surface plasmons; the theory of instability of spatially separated electron-hole beams and demonstration of their possible applicability for creating solid-state amplifiers of the TWT type. Yu.A. Romanov predicted the nonlinear nonlocal effects in plasma-like media: echo resonance, conducting layer transparency, large-scale transfer of spatial-temporal data of electric fields by electrons, and proposed novel techniques for plasma diagnostics on their basis. Yu.A. Romanov was involved in continuous teaching activities at the Nizhny Novgorod State University. He delivered lectures, conducted practical courses and seminars at the physics and radiophysics departments on the entire range of theoretical physics disciplines, was supervisor to 7 PhD and Doctoral theses, led undergraduate and postgraduate research projects. He was organizer and chairperson of three All-Union seminars on «Multilayer semiconductor structures and superlattices'.